Following an accident, there are many things you can do which can negatively affect the possibility of financial recovery from your injury claim. There are much more than five things, but I cannot tell you all of them right now, this would make this article too long. However, if you merely avoid these five things, you might be able to secure a better financial recovery than if you make one or more of these mistakes. Insurance information from the opposing driver. A recorded statement of what a witness said he or she saw. 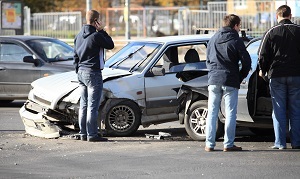 If you were injured at the accident scene and require emergency medical care, get it. Have the ambulance take you to the hospital, or if your injuries are such that you can have someone drive you to the hospital, do it. Don’t unnecessarily delay your treatment. Getting proper and early medical care will serve two functions. First, early medical care after an accident gets you prompt relief from pain and suffering you would otherwise experience without medical care. Second, by seeing a doctor, or going to an emergency room or clinic, you document your injuries with an independent expert and you identify your personal need to address your injuries right away. Consider this example of two people. Mr. A is in an accident and feels pain in his neck and back. He decides to go to his doctor and the doctor provides some medication and recommends physical therapy for the next 12 weeks. After that time, Mr. A feels pretty good and is ready to resolve his claim. Contrast that with Mr. B who was in the car with Mr. A and suffered the same injuries. However, Mr. B decides that he is going to wait it out and see if his body will recover on its own. After 12 weeks, Mr. B remains in pain and decides to finally see a doctor and receive therapy. After another 12 weeks Mr. B improves, but because he delayed his treatment, he does not fully recover. Which of these twp individuals will the insurance adjusters and/or jurors believe was sufficiently injured at the accident scene that medical care was necessary to solve their problem? They are clearly going to award Mr. A a better recovery even though Mr. B has continuing problems with his injuries. A jury is more likely to accept the opposing argument that Mr. B could not have been injured in this accident because he waited so long until he tried to get medical care for the alleged injuries. The insurance company for the other driver is not your friend. The adjuster is trained to try to get you to agree to a low settlement early on and to try to get you to admit that your injuries are not as bad as they actually are. Then, if you later bring a claim for more money, they use your admissions and statements against you. The objective of the insurance company before you consult and hire an attorney is to get you to accept a quick settlement for a low amount before you know your rights and the extent of your injuries. I don’t blame them for doing this, it is their job. Unless you have been trained in the profession of claims handling, you cannot know what your case is worth at the very beginning of the claim. Many times, injuries develop well after the date of the accident, or become more prominent as other injuries subside. Just because you consult with an attorney does not mean you have to hire one or that your case needs an attorney. However, that consultation is for your benefit to see if you are going to need a lawyer and to see if the insurance company is being fair with you. There are two aspects I can think of as to how this will affect your recovery. First, with the passage of time, evidence, information and witnesses are lost. If the driver of the other car can’t be found, or a critical witness is gone, or the necessary records have been lost, then you diminish the value of your case because it becomes more difficult to prove. If the responsibility for the accident is in dispute, and your witness has left the country, you may be out of luck to recover even your medical expenses. The second reason delay can ruin your case is if you wait to bring your claim until after the statute of limitations has expired. Once the time to bring your case has expired, this is called the statute of limitations, you cannot bring your claim even if it is a legitimate claim. There are a lot of lawyers out there. Some are good and some are really bad. So how do you find the right attorney? Start with your search of the Internet. Does that attorney provide you information about him or her so you can make an educated decision? Does the attorney have a track record for cases similar to yours? (You may need to call and discuss this with the attorney or his staff.) Is the attorney available to you and to meet your individual needs? Do you get to speak with someone right away, or is there a significant delay in getting a response? Next, check with the State Bar of California. Is this attorney licensed and does he have any complaints or bar actions against him? Just because an attorney has a minor action against him or her, may not disqualify the attorney, but you want to know more about how he will handle your case so there will be no problems. Does the attorney have malpractice insurance? Third, visit with several attorneys. How do you feel in their office? Was it a long trip to the office or was the attorney convenient to you? Were you warmly greeted? Did they listen to you? Did they answer your questions? Did they appear to genuinely consider your needs and want to put your best interests as their highest priority? Ask yourself this final question: If I have to go to court and present my case to a jury, do I want this lawyer standing by my side and representing my interests? If you don’t ask that question early, you may regret it when it is too late. There are many things that will hurt your personal injury case. It is like walking through a minefield blindfolded. If you hire the right lawyer, right after the accident, that lawyer can keep you safe and lead you through the personal injury or wrongful death minefield and bring you safely to the other side where a proper recovery can be obtained. If you want to speak with an attorney who understands your needs and has crossed that minefield safely many times, call the Inland Empire Law Group and speak with our injury recovery professionals. We provide straightforward answers to your questions and help you make the right decision for you and your case. We have offices in Rancho Cucamonga and Victorville and are proud to serve the entire Inland Empire and High Desert regions. There is never any pressure, and the consultation is free. I hope you don’t need our services, but if you do, I want to be there for you, protecting and fighting for your rights and for the proper recovery you deserve. I would recommend Inland Empire Law Group to anyone Eric B.
Inland Empire Law Group were very caring Stephany S.
?What type of monetary recovery is available to injured TBI victims?